How Kids & Classrooms Can Help! Home / Fundraising / DONATE / How Kids & Classrooms Can Help! 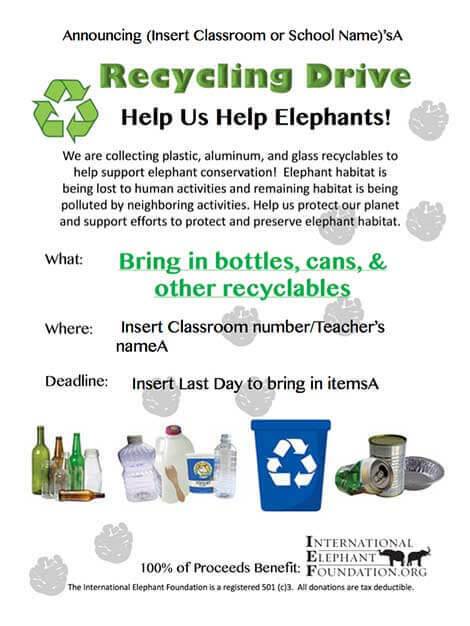 How You Can Help Elephants and IEF?? 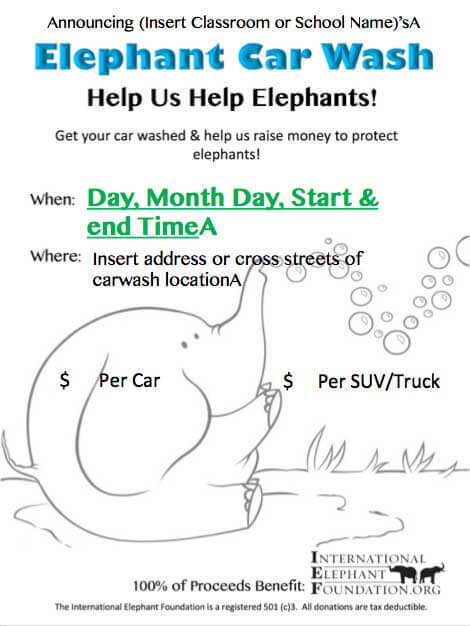 Feel free to use any of the materials linked above to put on your event, or come up with your own ideas—a dance recital to “Stomp out EEHV”, a school play performance of The Jungle Book, a talent show, or use your imagination to come up with the perfect fundraising event for your community. Remember, whatever you do, let us know! We’d love to include your event in the calendar section of our website and possibly feature you in our eNewsletter! Remember, you can raise funds to support a specific conservation project or support IEF in general and say you’ve supported projects around the world! We are excited to announce that schools, clubs, or organizations that register their event with IEF are eligible for some ele-fantastic rewards! Receive a framed certificate to proudly display in your class! 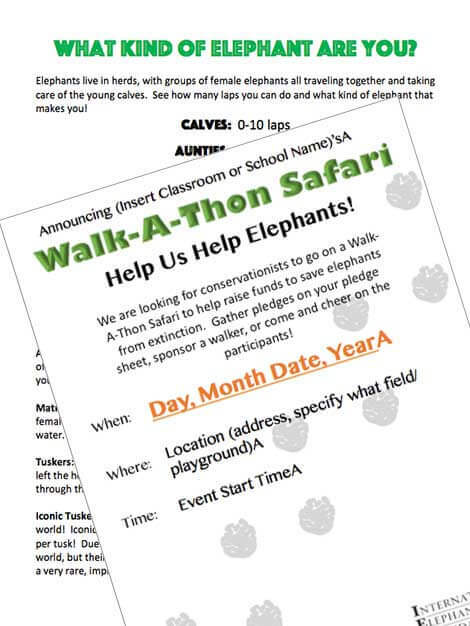 Receive a framed certificate to proudly display in your class and a Skype video call with a conservationist! Receive a framed certificate, Skype video call with a conservationist and an official IEF plaque for your school/club/organization! Receive a framed certificate, Skype video call with a conservationist, official IEF plaque, and a painting done by a real elephant artist! 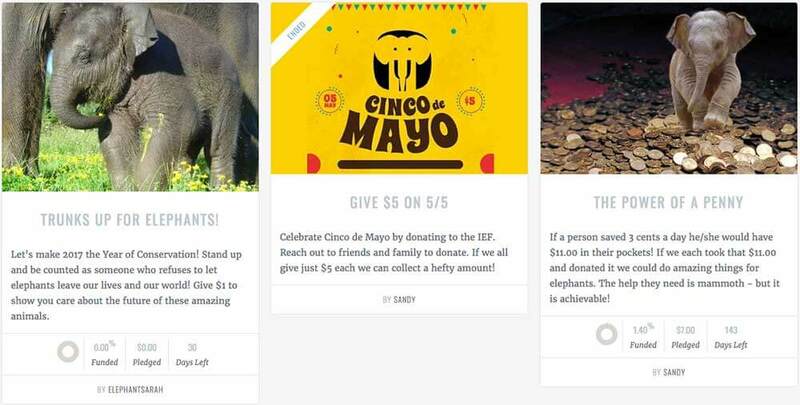 Set up your own fund raising campaigns – Visit IEF Campaigns HERE!